Introducing an 18” extended low frequency speaker with matchless power and exquisite design. Delivers deep, powerful bass in compact bass reflex as well as horn loaded sub-woofer design. Assembled in a strong and well vented octagonal shaped aluminium die-cast frame. Aluminium demodulating ring fitted for enhanced heat dissipation. Heavy duty 5” copper voice coil wound inside/outside on fibreglass former for withstanding high temperatures. Triple-rolled cloth surround with deep corrugations and double spider design to give better control of cone excursion. 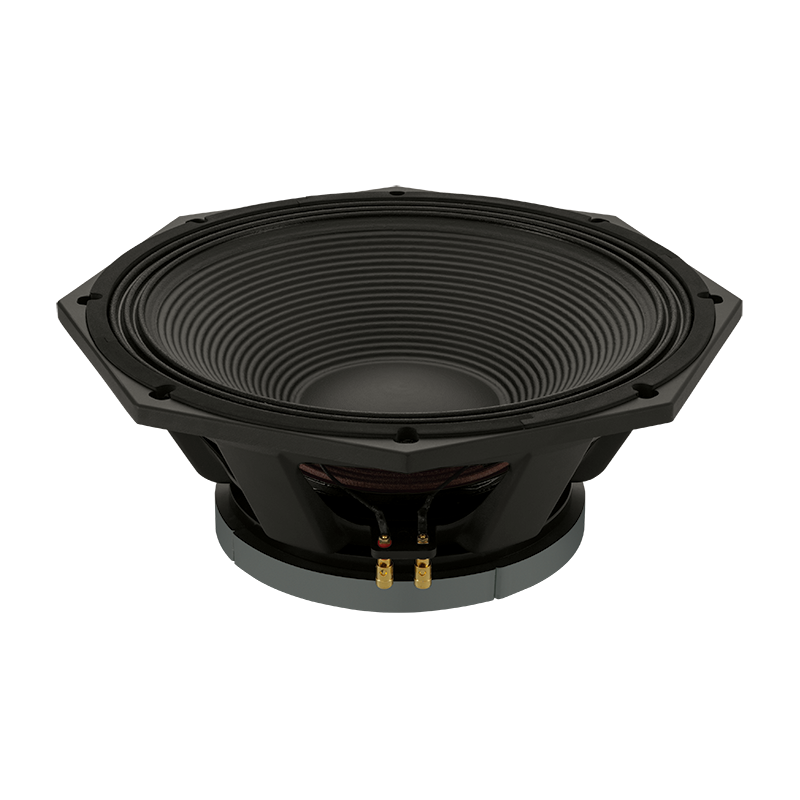 Ideal for usage in a wide variety of professional sub-woofer applications.